Audioboom / Tales of the New Cold War: 1 of 2: Summiteering Eve. Stephen F. Cohen @NYU @Princeton eastwestaccord.com. Tales of the New Cold War: 1 of 2: Summiteering Eve. Stephen F. Cohen @NYU @Princeton eastwestaccord.com. (Photo:English: President Richard Nixon (seated at left) and Premier Alexei Kosygin sign the Agreement between the Government of the United States of America and the Government of the Union of Soviet Socialist Republics on Cooperation in the Fields of Science and Technology; which included the agreement governing the Apollo–Soyuz Test Project. 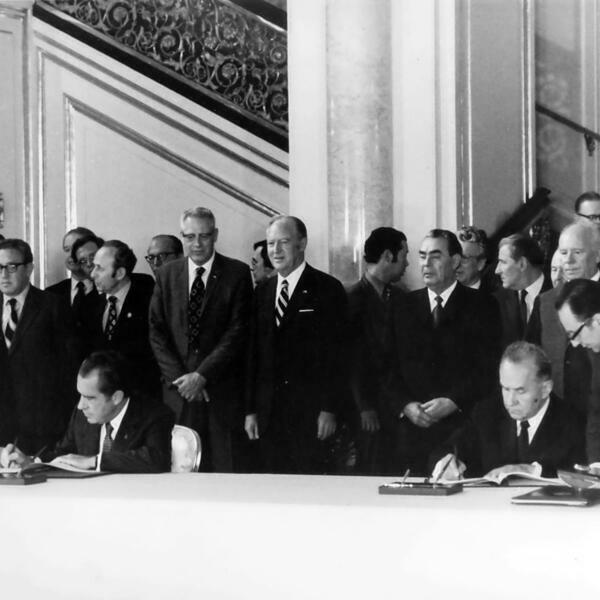 The agreement was signed during the bilateral summit in Moscow, May 24, 1972.